Avon is one of those brands that I feel like just about everyone has some memory of. As a child, I always loved flipping through my grandmothers magazines, picking out the things I would order if I was allowed to wear makeup. I remember one Christmas ordering a gingerbread scented lip balm and I was so delighted. Now that I'm allowed to wear makeup and own more than I should be allowed to I've begun to have more experiences with the brand. Today we are going to be chatting about 3 of their mascaras! 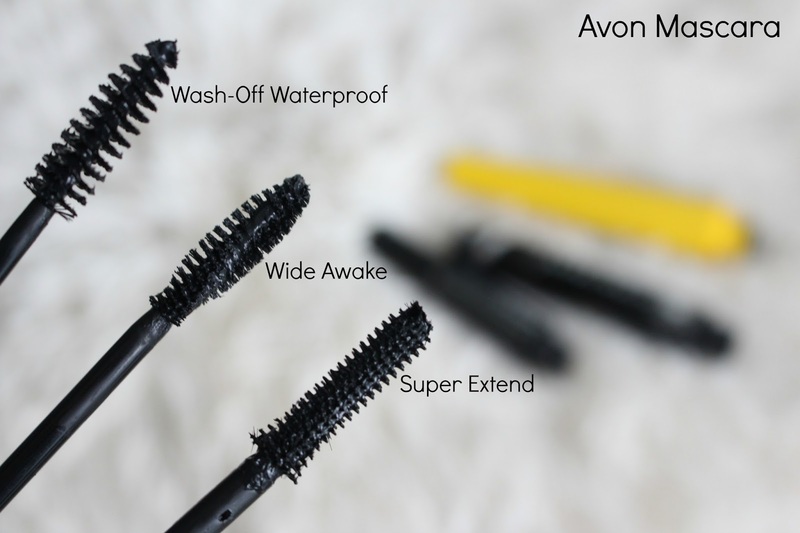 If you'd like to see them in action, along with some other Avon makeup I used them in my Best Avon Mascaras: 3 Looks 1 Video. Avon True Color Wide Awake Mascara retails for $10.00 and comes in 3 shades; black, brown-black and brown. First of all, I totally appreciate when a mascara comes in several shades (not just 7 shades of black). My grandmother has very light hair and I remember her always struggling to find a brown mascara as she found black too harsh. Moving on, I really like this mascara! I mentioned it on my YouTube channel in the Nothing Over $10 Tag. 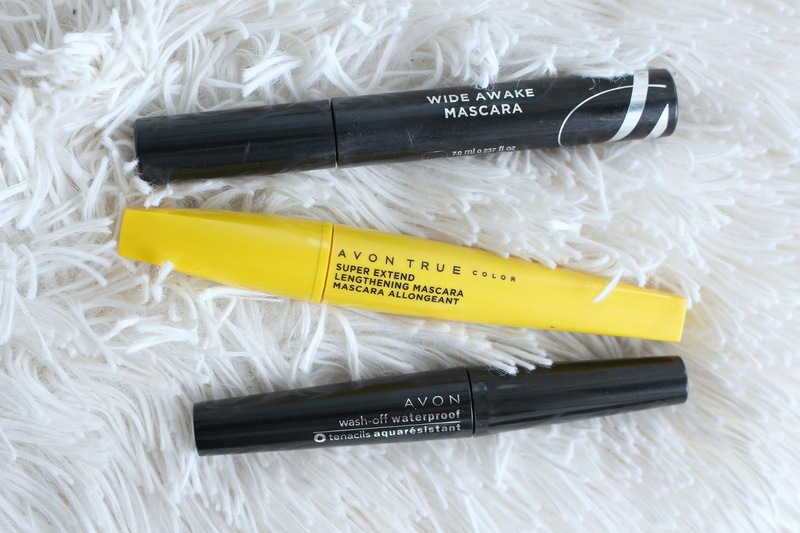 The Avon Wide Awake Mascara has a traditional bristle brush with an hourglass shape. Sometimes hourglass can be too hourglass and it is harder to grab all your lashes but that is not the case with this one. It claims to allow you to skip the lash curler along with being smudge, clump and flake free. For me personally, I was blessed with curly lashes and don't have issues with flaking on my mascara so this lives up to those claims! It gives tons of volume, might get clumpy if you layer on enough but I think it builds really nicely. A good combination of both length and volume. Avon True Color Super Extend Mascara Retails for $10 and comes in 2 shades: black and brown-black. This is one of those mascaras for the length loves! It has a hard, plastic brush - which isn't for everyone but I absolutely love how this style of brush combs through each lash and creates length. 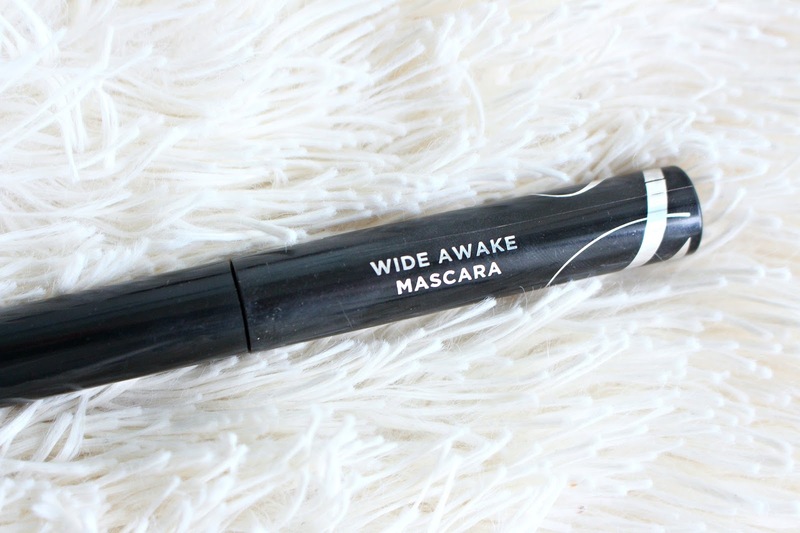 I am a huge fan of layering mascaras, and this makes a great second coat. It claims to hug every lash to build length without smudging, clumping or flaking. Again, I had no issues with smudging or flaking. I don't think it is 100% clump free, but it is by no means clumpy. To me, something that absolutely will not give any potential clump is not a good mascara. The ability to build it up adds volume but this definitely is a lengthening mascara. 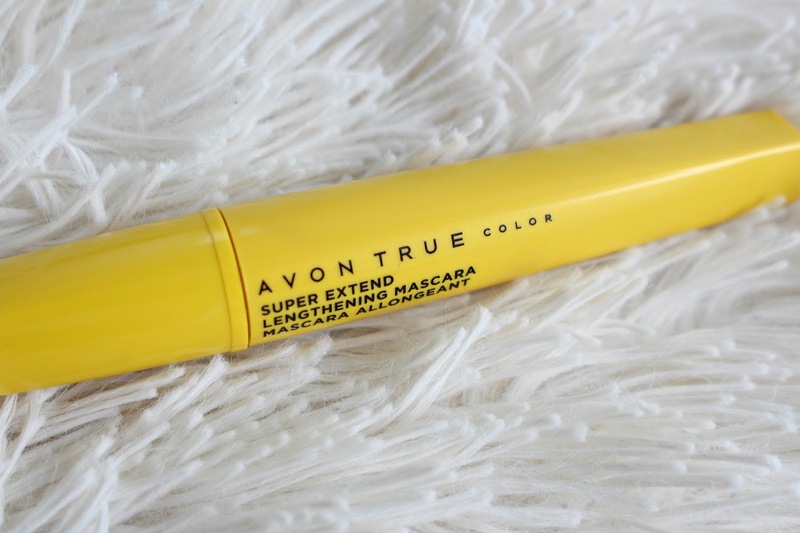 As shown in the above mentioned YouTube video, I love wearing the Avon Super Extend Mascara on light makeup days to help make my eyes look awake, bright and defined! 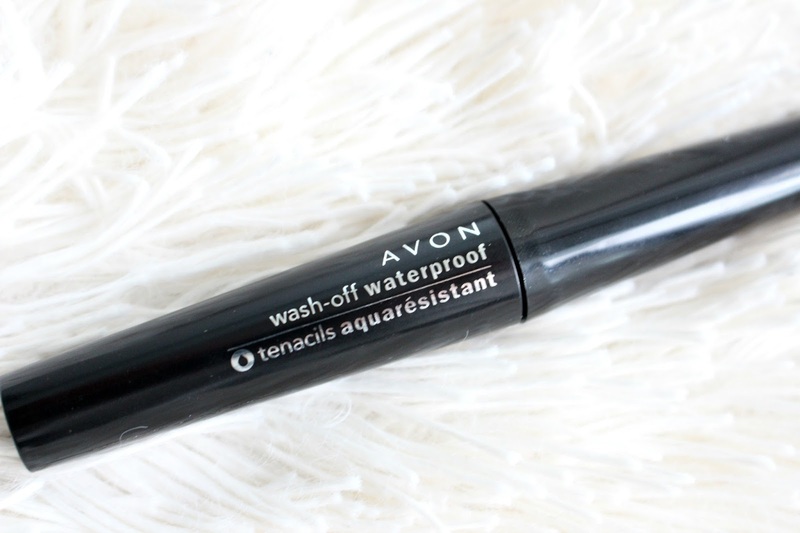 Avon True Color Wash-off Waterproof Mascara Retails for $10 and comes in 1 shade, black. When you think of a traditional, old-school mascara brush - this is it. The bristles are hard, but not plastic, spiraled around the brush and a little further spaced apart then I would prefer. If you're wondering what "wash-off waterproof means", they claim you can swim, shower, play sports all without ending up looking like a raccoon. Soap and water however will remove it from your lashes. I haven't tried showering with this on, but it does have great lasting power and it did not weigh down my lashes. I did find this mascara a little messy while applying, it may dry out a bit over time - that being said I am a super messy mascara applier. If you are also messy, let the mascara dry then rub it off with a q-tip, that way it doesn't smudge. If you have issues with smudging, this could be an option to try for the lower lash line, the smaller brush comes in handy there. Let me know what your faves from Avon are, I've been discovering some serious gems. *This post has been sponsored by Avon, all opinions are my own!